Heavy hitters: Hollywood rolls out its summer heavy hitters starting in June. Unlike May, June is prime summer playing time because kids get out of school as the month goes by and adults are starting to take vacation time. As Hollywood marketers like to say, every night is Saturday night in the summer. Not only are there some likely hits on deck for June, but the month is starting out on the right foot with last weekend's $53.2 million launch for Warner Bros., New Line Cinema and Village Roadshow Pictures' PG-13 rated 3D disaster thriller "San Andreas." Three new wide releases targeted to quite different audiences will hit the multiplexes this weekend. Women are the likely ticket buyers for 20th Century Fox and Chernin Entertainment's R rated action comedy "Spy," opening at about 3,000 theatres. 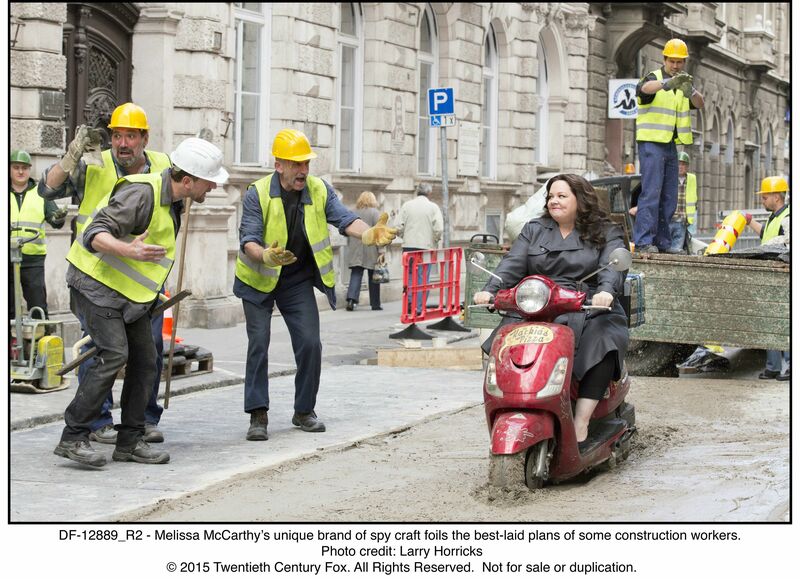 Directed by Paul Feig("Bridesmaids,""The Heat"), it stars Melissa McCarthy, Jason Statham, Rose Byrne and Jude Law. "Spy" is tracking best and in double digits as a first choice with women over 25 and next best with under-25 women. Girl power can be stunning at the boxoffice. McCarthy's female fans propelled "Bridesmaids" to sleeper hit success. It opened May 13, 2011 to $26.2 million and went on to do $169.1 million domestically. In "Spy," McCarthy plays Susan Cooper, a deskbound CIA analystwho's the unsung hero behind the Agency's most dangerous missions. Aftera top agent is compromised, Susan volunteers to prevent a global crisis by infiltrating the world of a deadly arms dealer. Warner Bros. and RatPac Entertainment's R rated comedy "Entourage,"opening at about 3,100 theatres, is directed by Doug Ellin, whose credits include six episodes of the hit HBO series that inspired the movie. Starring are: Adam Grenier, Jeremy Piven and Kevin Connolly. "Entourage's" strong male appeal is seen in tracking reports where it's doing best with men over 25. Its next best demo is women over 25, so it could attract adult couples. In this spin-off feature, movie star Vincent Chase (Grenier) returns with his pals Eric (Connolly), Turtle (Jerry Ferrara) and Johnny (Kevin Dillon). They're back in business with super agentAri Gold (Piven), who's now heading a movie studio. Rounding out this weekend is Focus Features and Blumhouse Entertainment's PG-13 horror thriller "Insidious Chapter 3," opening at about 3,000 theatres. Directed by first-time feature director Leigh Whannell, whose credits include executive producing seven episodes in the hit horror franchise "Saw," it stars Dermot Mulroney, Stefanie Scott and Angus Sampson. "IC3" is tracking best and equally well with men and women under 25, so it could be this weekend's dating destination for young moviegoers. The franchise's last episode, "IC2," opened Sept. 13, 2013 to $40.3 million and did $83.6 million domestically. In this prequel set before the Lambert family's haunting, a gifted psychic, Elise Rainier (Lin Shaye),reluctantly agrees to use her ability to connect with the dead to help a teengirl (Scott) who's the target of a dangerous supernatural creature. June 12 will see only one new wide opening -- Universal, Legendary Pictures and Amblin Entertainment's PG-13 3D sci-fi action adventure "Jurassic World," one of the year's most highly anticipated films. Directed by Colin Trevorrow ("Safety Not Guaranteed"), it stars Chris Pratt, Bryce Dallas Howard, Judy Greer and Ty Simpkins. "JW" is already tracking in strong double digits as an overall first choice film for moviegoers. It's tracking solidly with 25-plus men and nearly as well with under-25 males. And it's also scoring well with women under and over 25. That could turn it into the kind of four-quadrant marketing hit that makes the summer boxoffice sizzle. The franchise's last episode, "Jurassic Park III," opened July 18, 2001 to $50.8 million and did $181.2 million domestically. 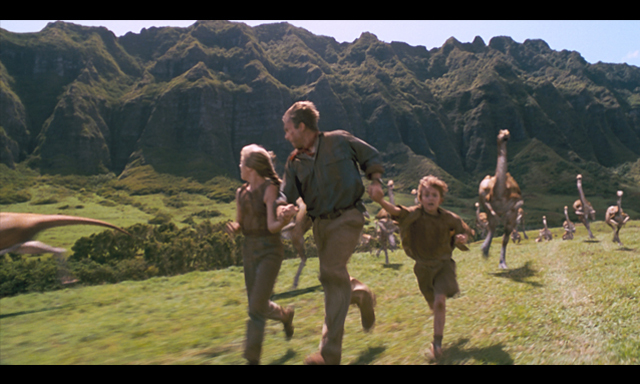 In this new take on the franchise, it's 22 years after the events of Steven Spielberg's blockbuster "Jurassic Park" and there's a new resort on Isla Nublar that features a dinosaur theme park. But when a new attraction is introduced to boost failing attendance, things go dangerously downhill. Two wide openings will be competing for moviegoers' time and money June 19. Disney and Pixar Animation Studios' PG rated 3D animated family comedy "Inside Out"is directed by Pete Docter ("Up," "Monsters, Inc.") and co-directed by first time feature director Ronnie del Carmen. It stars the voices of Diane Lane, Mindy Kaling and Amy Poehler. "Inside's" tracking best with women under 25 and next best with 25-plus women, so it should bring in the moms-with-kids audience that family movies must attract. The film played out-of-competition last month at the Cannes Film Festival where it reportedly was very well received. In "Inside," Riley's life hits a bump when her father starts a new job in San Francisco, which uproots her from the Midwest. The emotions guiding Riley -- Joy, Fear, Anger, Disgust and Sadness–all live in Headquarters, deep inside her mind. Now, as they're all struggling to adjust to change, there's major turmoil in Headquarters. Open Road Films' R rated comedy drama "Dope" is directed by Rick Famuyiwa ("Our Family Wedding") and stars Zoe Kravitz, Forest Whitaker and Blake Anderson. It's tracking best and equally well with under-25 men and 25-plus women. In this coming of age tale, Malcolm (Shameik Moore), a teen high school geek, is trying hard to survive life in his tough Los Angeles neighborhood that's home to gangsters and drugs dealers. Malcolm's busy dealing with college applications and school interviews and is preparing to take the all-important college entrance SAT exam. He's dreaming of getting into Harvard, but by attending a big underground party in L.A. his dream could turn into a nightmare. The month will wrap up with two wide openings June 26. Universal and Media Rights Capital'sR rated comedy "Ted 2"is directed by Seth MacFarlane, director of the original "Ted." It stars Liam Neeson, Mark Wahlberg, Amanda Seyfried and MacFarlane as the voice of Ted. It's too early for "T2" to be showing up on tracking reports, but it should score along the same lines as the original, which did best with under-25 males and next best with 25-plus men and under-25 women. The first "Ted" opened June 29, 2012 to $54.4 million and went on to gross $218.8 million domestically. In this episode, newlyweds Ted and Tami-Lynn (Jessica Barth) want to have a baby. But before Ted can qualify to be a parent, he must go to court to prove he's actually a person. Warner Bros. and MGM's PG rated adventure "Max" is targeted to family audiences, making it the right kind of film to open opposite "T2." Directed by Boaz Yakin ("Remember the Titans"), it stars Robbie Amell, Lauren Graham and Luke Kleintank. It's the story of a dog working with U.S. Marines in Afghanistan who returns to America after a traumatic experience and is adopted by his handler's family. Bottom line:June doesn't boast any long holiday weekends, but it does lead right into one of the year's biggest moviegoing holidays– July Fourth. This year the Fourth falls on a Saturday. That's not Hollywood's favorite timing since the holiday's boxoffice boost will be wasted on what's typically the week's biggest day and doesn't need any help. Hollywood's solution is to open films for the Fourth on Wednesday (July 1) rather than on Friday (July 3). That strategy will turn the three day July Fourth weekend into an extended five day period capable of generating boxoffice fireworks.